Almanzor put his rivals to the sword with a ruthless display in the QIPCO British Champion Stakes at Ascot this afternoon. The 11/8 favourite simply outclassed his rivals in the ten-furlong Group One contest, always travelling kindly for his jockey, Christophe Soumillon, and the pair stretched clear in the final furlong to record a two length victory over the 5/2 second favourite, and recent Prix de l'Arc de Triomphe winner, Found. 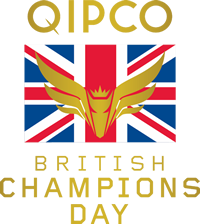 Almanzor's trainer, Jean-Claude Rouget, was training his second winner of the QIPCO British Champion Stakes, following Literato's success in the 2007 running of the race when it was held at Newmarket. Rouget was visibly delighted with the performance of his colt following the race. "I'm very happy," said the trainer. "He has run a similar race to the one he did at Leopardstown. The field was a bit smaller today though. He had to keep his form as he had five weeks between that race and this one but he's managed to do it. It was the right decision to run here as the track and ground were going to suit him well. I love this horse. It was always the plan to come here since the summer. I didn't change my mind on what I was going to do and I'm glad I didn't. "The pace of the race was a bit too slow to begin with but, at the four-furlong post, the race started to get faster. It's not like in France because sometimes you are blocked because the pace is so slow but here, it is easier to find a gap at the important time. "He's a super horse. I would rank him very highly against all the horses I have ever trained. It's fantastic to win this race and fantastic to win a Group One race here. I have won this race before with Literato but that was when it was run at Newmarket. I love to come here and I love to win races here." Just 13 days on from her success in the Prix De L'Arc de Triomphe, Aidan O'Brien's Found (5/2) resumed her role as a perennial bridesmaid, finishing second for the sixth time this season. O'Brien's star filly travelled well in the early stages of the one mile and a quarter Group One contest and engaged in a pulsating battle with Almanzor in the home straight. However, under Ryan Moore, the daughter of Galileo was unable to live with the three-year-old colt's turn of foot and was eventually beaten by two lengths. Jack Hobbs (7/1), trained by John Gosden, was a further length and three-quarters back in third. This caps a memorable season for the filly who along with her Arc success also finished second to Almanzor in the Group One Irish Champion Stakes at Leopardstown in September. 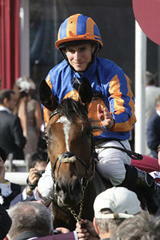 O'Brien was quick to heap praise on the four-year-old, commenting: "It is an unbelievable run from her. I am delighted. What can I say really? 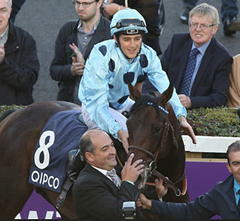 To run so well here after running in the Arc just two weeks ago, it was a great run. "Ryan gave her a great ride. She was drawn wide and was in a difficult enough place but she is an amazing mare." O'Brien was unsure whether the four-year-old mare would return to America for the Breeders' Cup in November to try and retain her crown in the Breeders' Cup Turf Classic. The Ballydoyle handler remarked: "She looks great and is very well in herself. I'm not sure about going to the Breeders' Cup with her. The lads will have to decide on that as Highland Reel will possibly go for the Turf Classic [race Found won last year] so I don't know about that. The climate will be different there this time around and it will be very fast ground so I'm not sure whether she will go to America." O'Brien, who earlier tasted success with Minding in the Queen Elizabeth II Stakes, hinted that retirement may loom for Found. O'Brien said: "Found is an amazing filly. She has a great constitution and I really appreciate all the work the team have done with her. She is incredible. "She is competing at the top level over a mile, a mile and a quarter and a mile and a half. She has run brilliantly finishing second in a host of top class races like the Coronation Cup as well as winning the Arc."